Nothing has gone according to plan for Hoffenheim coach Markus Babbel, and now he has to give a rookie goalkeeper his debut. Munich - Hoffenheim will be bidding to get their season up and running after their worst ever start to a Bundesliga campaign when they host Hannover 96 on Sunday. Zero points, eleven goals conceded, bottom of the table and elimination from the DFB Cup to lower-league side Berliner AK don't make for happy reading, but that is the situation Hoffenheim find themselves in after three games of the season. The early stages of the 2012/13 season could hardly have been any more difficult for Hoffenheim while seven points in three matches have helped Sunday's counterparts Hannover 96 to third place in the table. Not only those contrasting records have made the home team coach Markus Babbel green with envy ahead of tomorrow's clash at the WIRSOL Rhein-Neckar Arena. "They are something of a role model for us," he said. Indeed, watching Hannover performing in the Europa League for the second year running while Hoffenheim continue to wait anxiously for their first season of international football, and in view of the current gulf between the two sides, Babbel could hardly pick a better example for his side to follow. 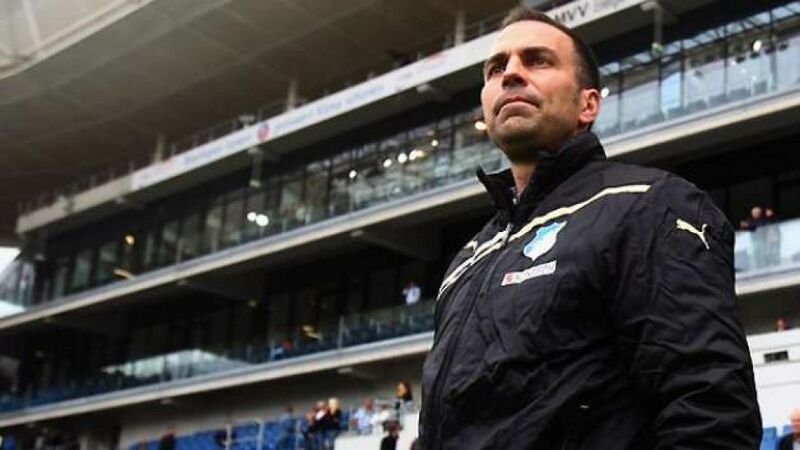 Babbel has made no secret of his desire to lead Hoffenheim into Europe, but his priority now is ensuring they don't remain stuck in a relegation battle. Having conceded an average just shy of four goals per game, changing the goalkeeper would be one thing worth considering to remedy that problem. Fortunately, the decision to change the last line of his defence, which may have been an awkward one for Babbel, has been made for him. Tim Wiese, the man Babbel wanted so strongly over the summer, has picked up a groin injury, meaning Koen Casteels will stand between the posts instead. "He enjoys our full faith," said Babbel. "Koen is an exceptionally talented goalkeeper." Hannover coach Mirko Slomka also has to make a change to his team, albeit a more reluctant one. Szabolcs Huszti's emotional celebration of his winner in the 3-2 victory over SV Werder Bremen a week ago earned him arguably the quickest two yellow cards in succession. Hannover's appeal against his suspension was rejected, meaning the man who has had a hand in The Reds' last seven goals will be absent tomorrow. With Jan Schlaudraff also rated doubtful, Mame Diouf may be forced into a comeback one month earlier than predicted after he underwent knee surgery back in April. Given the strains of a game on Thursday, followed by a clash with Nuremberg in midweek, that may not be the only change Slomka makes to his side, who have yet to be beaten this season.